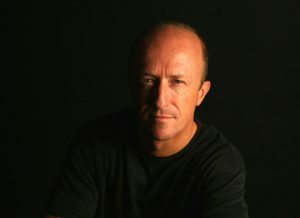 Karl Grobl, (co-founder and trip leader), is a humanitarian photojournalist specializing in the photographic documentation of relief efforts and development work of NGOs worldwide. Calling upon his superb photography talents, both technically and creatively, he proficiently leads photo workshops and international photo tours (on this website). Beyond his photography attributes, tour clients frequently commend his helpfulness, professionalism and savvy about navigating global travel. In 2013, Karl relocated from San Diego, California to Siem Reap, Cambodia, where he now lives full time. Karl considers Cambodia the perfect place for his Asia-based NGO work and photography tours and workshops. When ‘deplaning’ from his rigorous international travel schedule, Karl lecturers on photography and photojournalism, works on personal photography projects, and scouts out new off-beat photo tour destinations in Asia. In his free time, Karl says that he enjoys “hanging out at the nearby temples of Angkor, the rural villages and rice paddies, and occasionally getting completely soaked by the refreshing monsoon rains”. Many of Karl’s images have appeared in publications such as Newsweek, CNN, Geo, Town and Country magazine and The Chronicle of Philanthropy, though the majority of his photos appear in the annual reports, newsletters and communications materials of his humanitarian organization clients. Over the last ten years, Karl has worked in over 50 countries and has covered and photographed post conflict peace building efforts in Sri Lanka, Afghanistan and East Timor, HIV/Aids issues in Africa and Asia as well as human trafficking in Cambodia and the Philippines. Following the 2004 Indian Ocean tsunami, Karl spent more than a month embedded with five different non-governmental organizations (NGO) documenting tsunami relief efforts in India, Sri Lanka and Indonesia. The international press has taken notice of Karl’s provoking images: The 2005 Haiti photo-story “City of God” was nominated for a World Press Photo Award. Karl is a member of the Advisory Council of Focus For Humanity, a non-profit organization, whose mission is to provide financial support, resources and training for professional and amateur photographers wishing to work with NGOs. “From an early age, my parents instilled in me a desire to explore and learn firsthand about the world around me. Our family vacations and weekend excursions were general education courses disguised as fun. Knowingly or unknowingly they set me on course for a journey that today, is still just beginning. For me, the ongoing quest to document the world’s people and global events that shape our common humanity, have been instrumental in breaking down stereotypes, preconceptions and prejudices.